When the time comes and you decide to update your business operations, you must make use of the latest information systems available for automating the way you execute work in the business place; basically, your business processes. For this, you must read ahead, to get an overview of content management system vs learning management system, so you can select the right system for your business. And then there’s Learning Content Management System too. If you’re interested in implementing a learning management system or a learning content management system, here are 7 steps to help you get started. 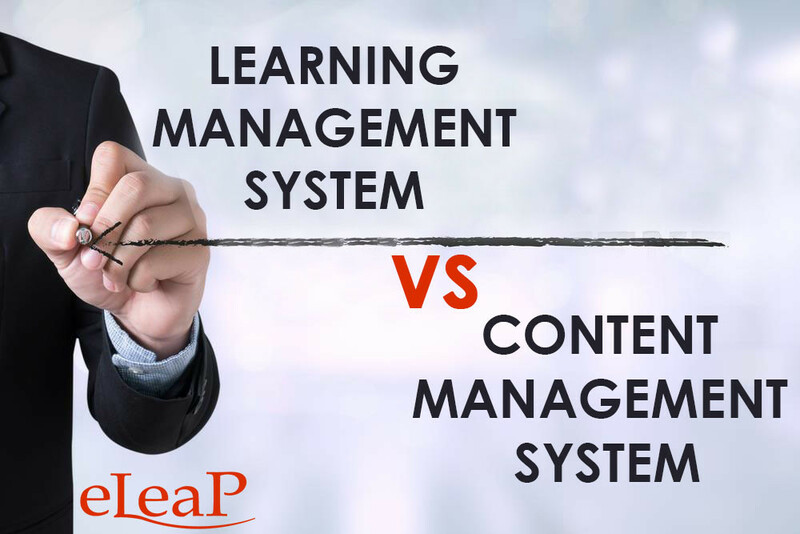 Before exploring the topic of content management system versus learning management system, it would be helpful to understand how the two systems function separately. A content management system is basically used for automating the content available within a setup. A content management system is about applying a software application which creates content in digital format and allows users to upload, edit and manage the content, electronically. A learning management system, however, like the name suggests, is more concerned with imparting learning. It is a software application, which allows users to design, execute and also evaluate a specific learning process. It provides learners access to learning material, access to actual learning and activities and in some cases provides options for feedback and assessment. From the creator’s end, it allows them to monitor participant activities, monitor progress and also evaluate the learners. Now that the basic features of both systems have been understood, the topic of content management system versus learning management system can be looked into with greater depth. A learning management system is more robust than a content management system. The content management system’s basic purpose is to make available a company’s content in a digital form. Some users are given the right to upload and edit the content, whereas the rest have read-only rights. This system is beneficial when companies want to share company policies, code of conduct and other corporate documents such as the Employee Handbook. It can also be used to share product and service information with the customers, newsletters and other similar information with the industry. On the other hand, a learning management system has a broader scope. It is mostly used in educational institutes and in companies for designing and executing learning and development activities. Where the content management system helps with information sharing only, a learning management system helps in enhancing the skills and knowledge of users through enabling distant learning. When it comes to a discussion on content management system vs. learning management system, what you need to understand is that the former is a passive system whereas the latter is a more active and interactive system. In a learning management system (LMS), you can incorporate a number of interactive features, to keep users interested. They can view, listen to and also interact with the information available. One of the most interesting things to note, while exploring the topic of content management system versus learning management system, is that a content management system is mostly a one-way communication method. A learning management system, on the other hand, offers two-way communication options, by allowing users or rather learners, to give feedback regarding the course they have studied. Carefully studying the difference between a content management system vs. learning management system is highly important for bringing in place, the right system for your company so you can reap maximum benefits out of your investment into automation. Information on content management system vs. learning management system can help you decide which system will best meet your requirements. If you are only looking to digitize your data, go with a content management system. But if you want to automate your data and use it for imparting learning and development, you must look towards getting a learning management system.